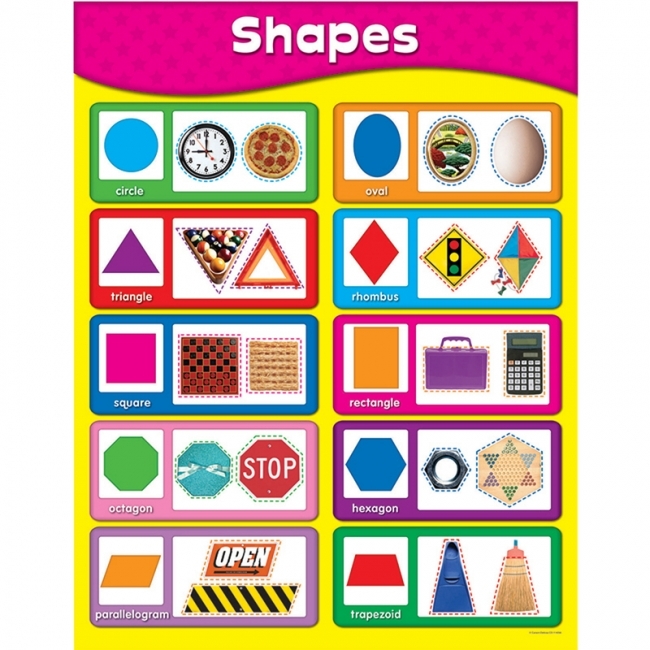 Colors, Emotions, Shapes, and Senses...this colorful Early Learning Chartlet Set has everything you need to brighten up your classroom and provide a helpful reference tool for your students! 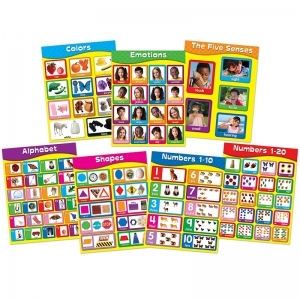 The set also includes an Alphabet chartlet, as well as Numbers 1-10 and Numbers 1-20. Each chartlet measures 17" x 22" and includes a resource guide on the back. Learning the days of the week is easy when students have a classroom chart! 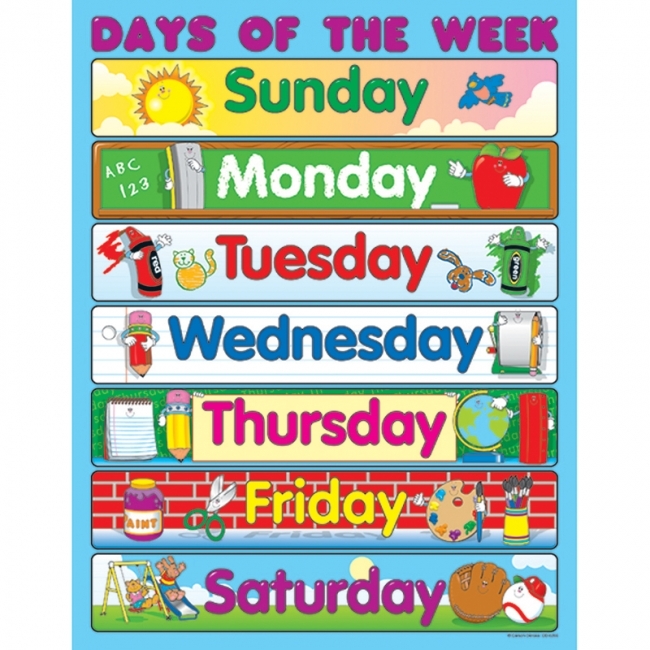 Show students that every day is filled with learning opportunities. 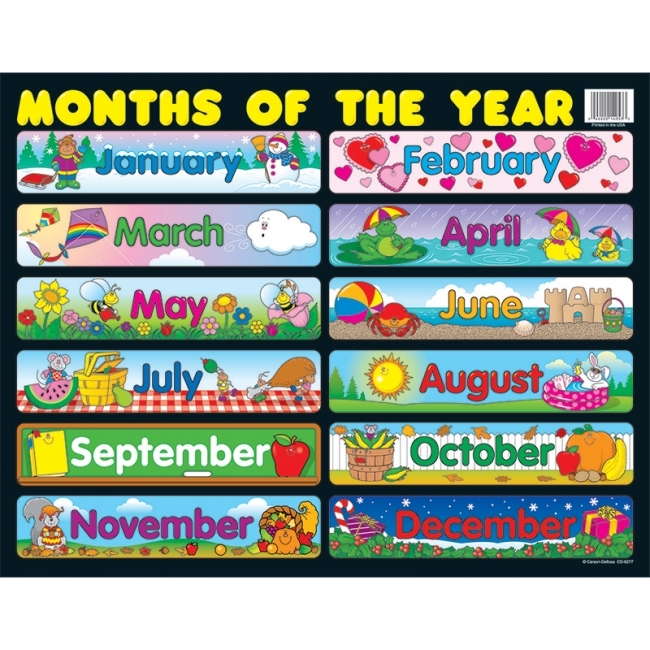 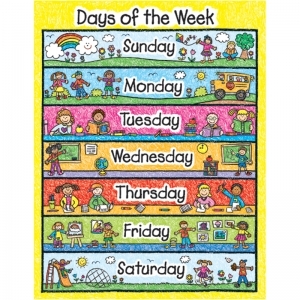 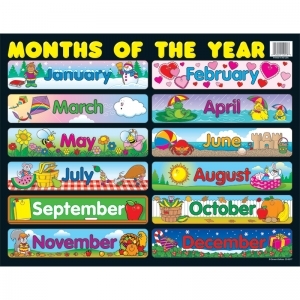 The Days of the Week chartlet measures 17" x 22" and features kid-friendly images and bold colors. 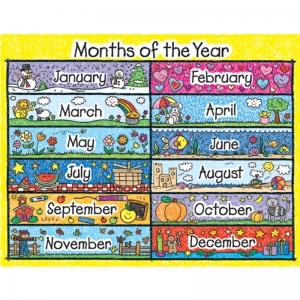 You can place this chart anywhere in the classroom to give your students a year-round reference. 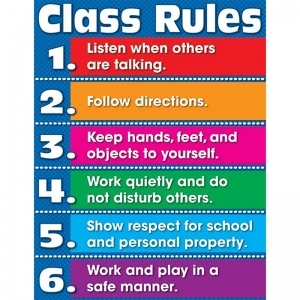 Display a sign language chart in your classroom to help students become proficient communicators. 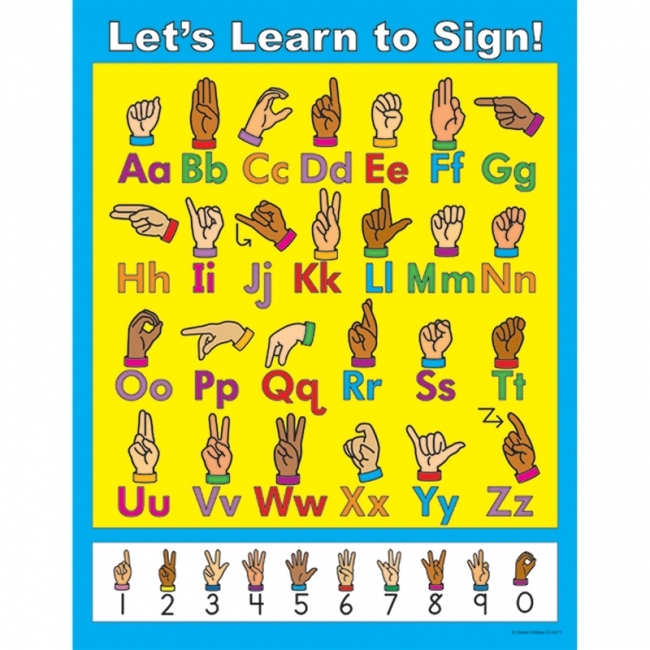 Teach the basics of sign language with a chart for students. 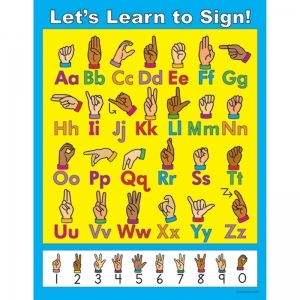 The Let's Learn to Sign! 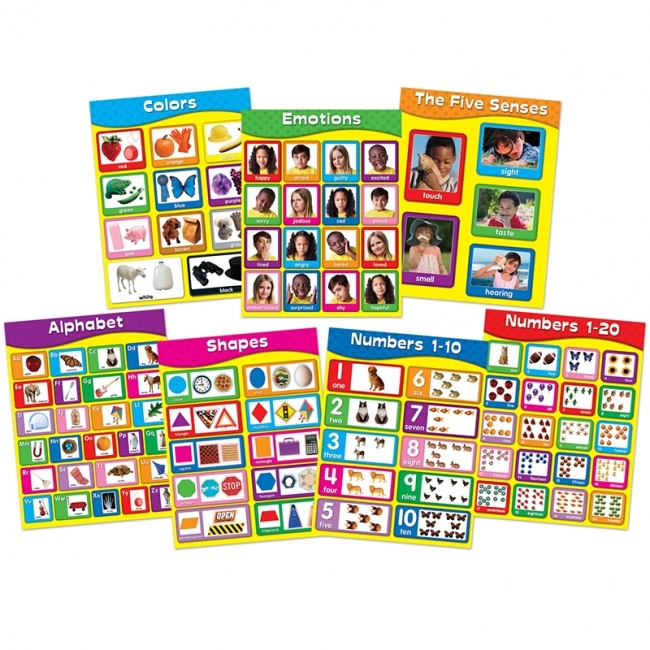 chartlet features illustrations of the ASL (American Sign Language) alphabet and numbers 0-9. 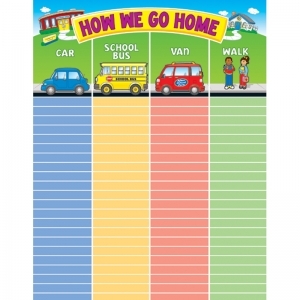 Display this 17" x 22" classroom chart year-round to enhance learning. An easy way to provide skill reinforcement for a successful school year! 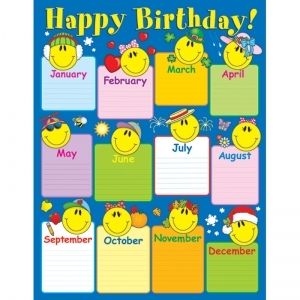 Birthday chartlets are an excellent way to celebrate students' birthdays! The Smiley Face Birthday chart measures 17" x 22" and includes a resource guide on the back. 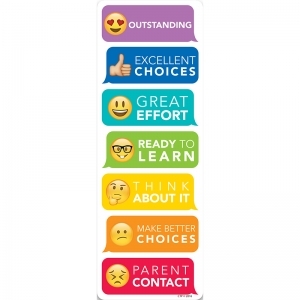 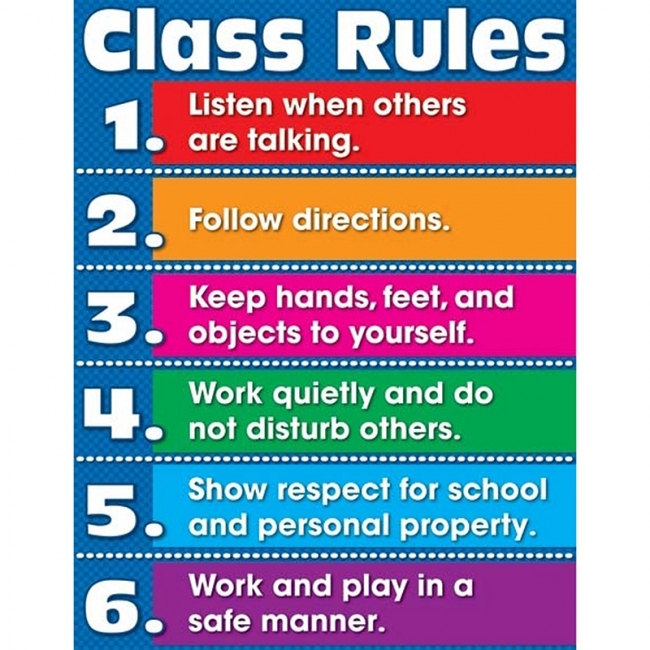 Encourage respect and positive behavior with classroom behavior management charts for students. 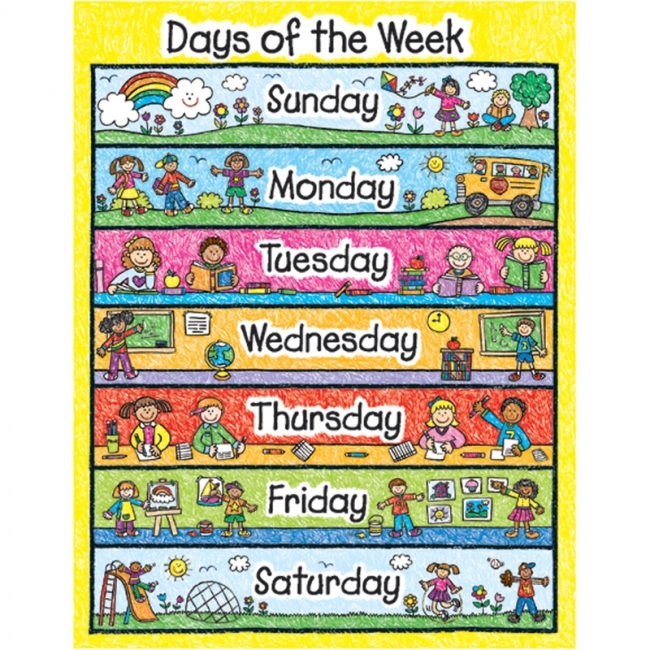 Manage your classroom in style with behavior management and motivational charts. 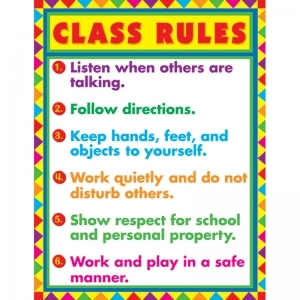 The 17" x 22" Class Rules chartlet displays six simple rules for maintaining a peaceful and productive learning environment. 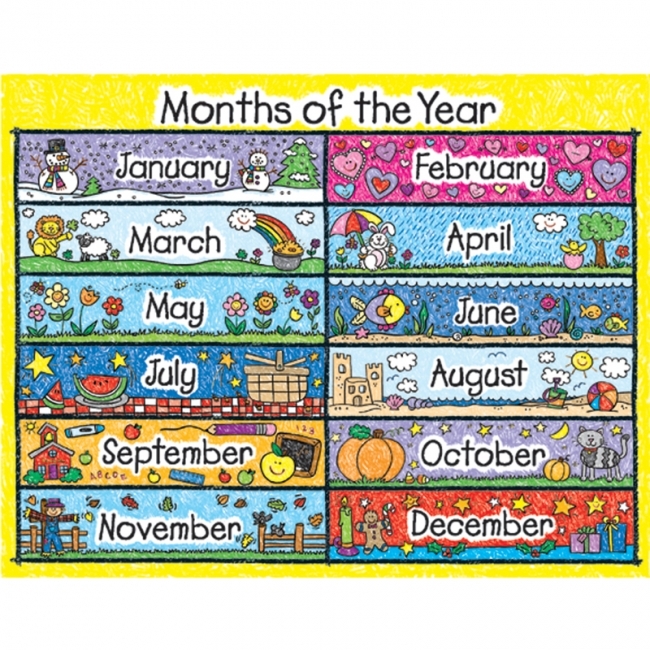 Chartlets are an excellent reference resource for students! 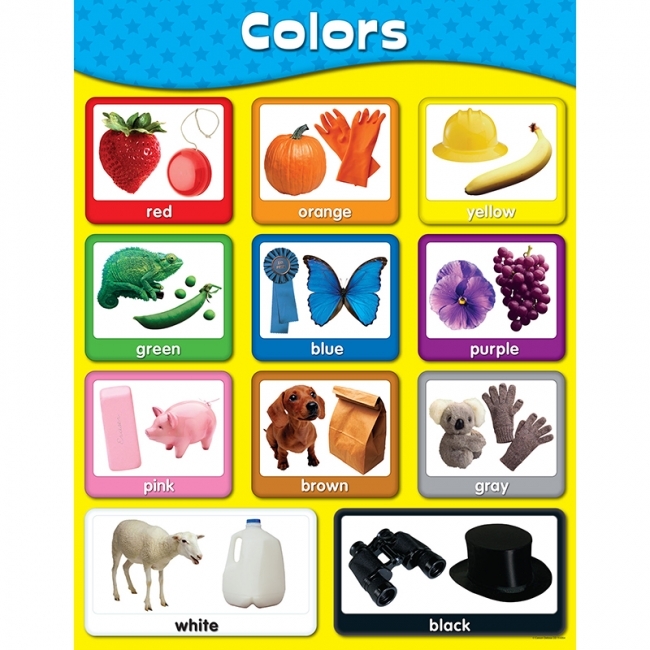 Each measures 17" x 22" and includes a resource guide on the back. For PreK-Grade 1 / Ages 4-7. 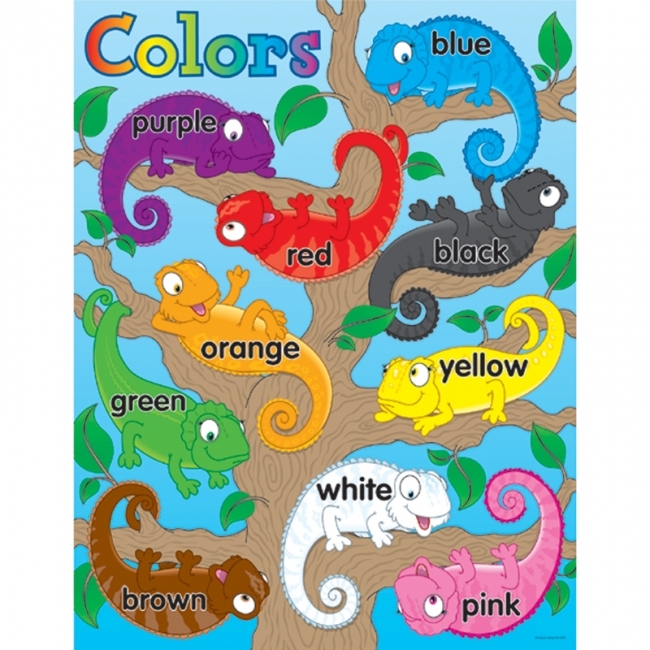 Add style to bulletin boards, hallways, doors, and common areas! Each chart includes activity ideas and reproducibles. 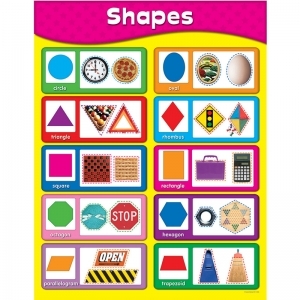 Measures 17" x 22". 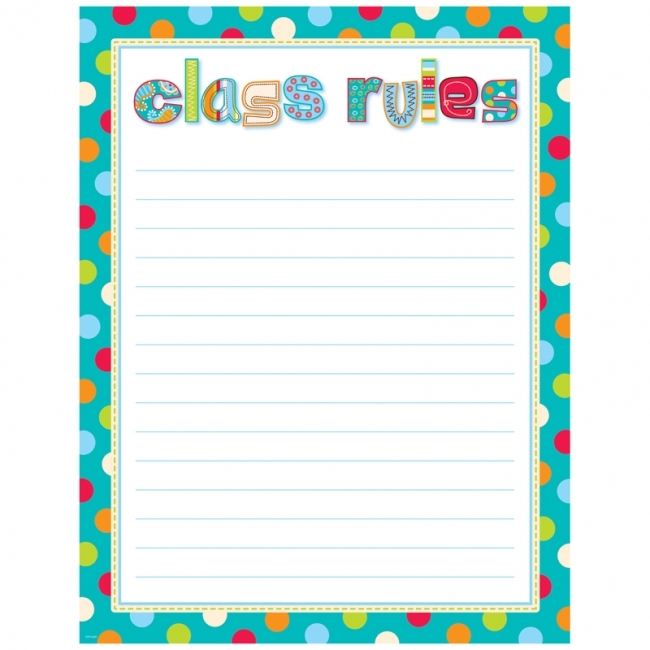 Coordinates with Dots on Turquoise® products.